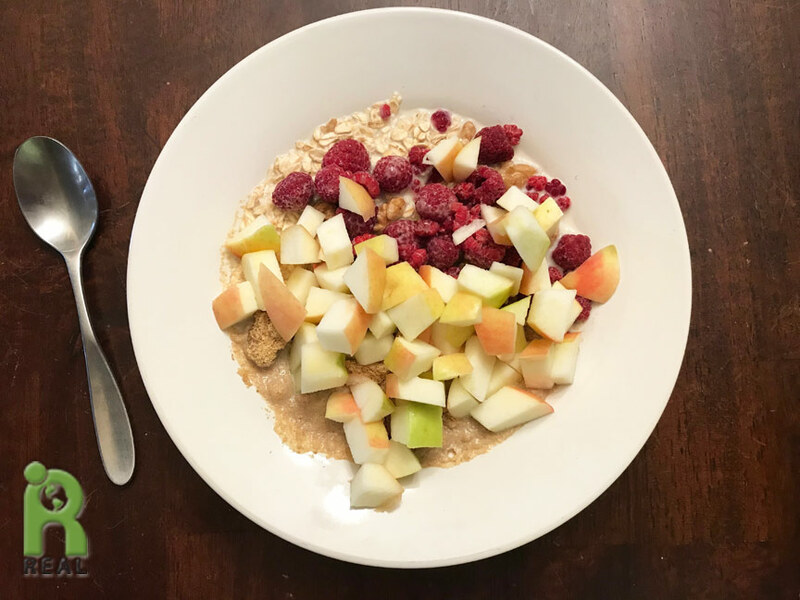 First Meal: This morning I served myself a happy bowl of organic Rolled Oats, organic Raspberries, organic ground Flax Seeds, organic Apples and organic Soy Milk. This is a REAL Happy Meal. Second Meal: I had this idea of cooking Orange. 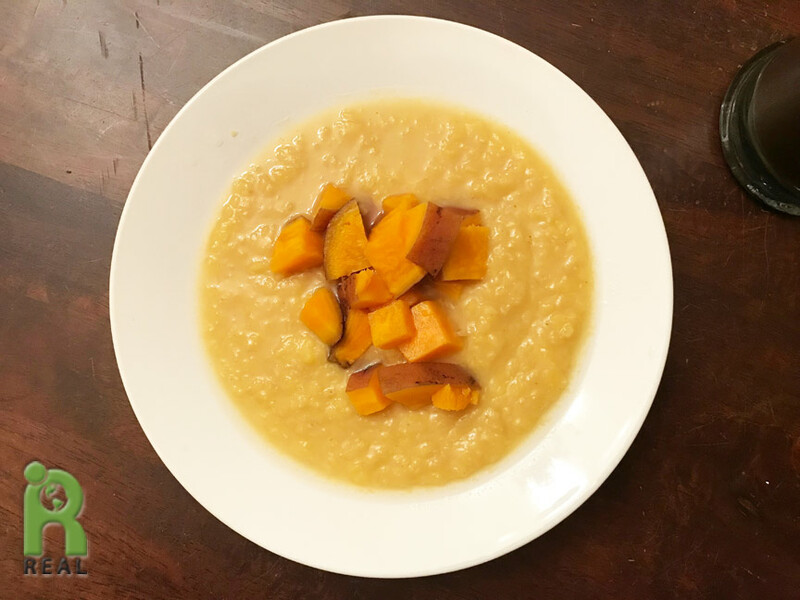 I cooked organic Red Lentils in one pot and organic diced Sweet Potatoes in another. Then I served them together. The combination definitely works. Third Meal: I was truly happy with this meal because it was really quick to make and really good to eat. 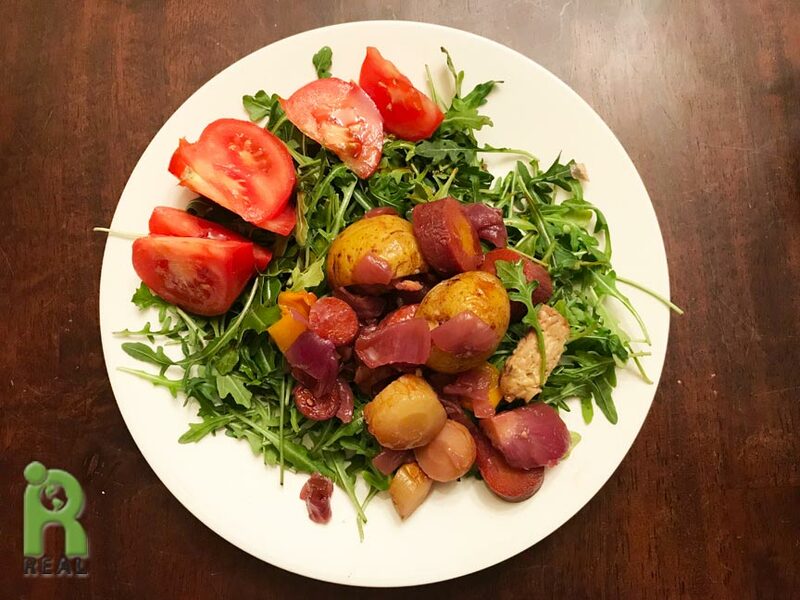 I took yesterday’s organic Roasted Vegetables and served them with sliced organic Tomatoes on top of a bed of organic Arugula. I love arugula. I saw it for a good price and I bought a lot. Now I get to eat it all the time.